German Transaxle of America has been re-building and repairing transmissions for over 30 years. 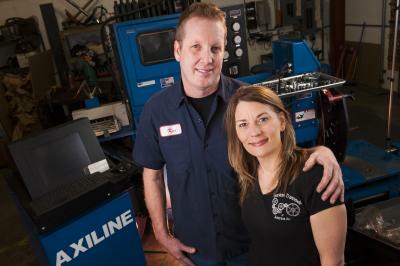 Ken and Laurie Harvey have been married for 29 years and have a passion for fixing transmissions. Ken and Laurie are car enthusiasts and paticipate in vintage Volkswagen shows. Ken Harvey is the owner and has been rebuilding transmissions for over 25 years. Ken has established German Tranaxle of America as one of nation's best resources for quality re-manufactured transmissions. Laurie Harvey has been helping the business grow and develop since 1999. Laurie manages all the administration for German Transaxle of America. Kateka Harrison is our friendly front desk receptionist.